Eat'n Park Christmas Star Commercial & Air Dates - Watch It Live! We first aired our Christmas Star commercial all the way back in 1982, and in the 28 years since, it has become a holiday classic. We've heard from guests close to home and from halfway around the world that regardless of where they spend the holidays, this commercial holds a special place in their hearts. The holiday season just wouldn't be the same without it. Wondering how the commercial came to be? Click here to read the story of how it all started. Read on for a list of when the commercial will be airing live; check your local listings for times. If you just can't wait to see it on TV, click below to watch it now! And from everyone here at Eat'n Park, Happy Holidays! See how you can support our Caring for Kids Campaign at your local Eat'n Park! Event dates and times are subject to change, so please call ahead if you are planning to attend. Need the number? Click here. Planning to wake before dawn (or in some cases, never go to sleep at all) on the day after Thanksgiving so you'll have first dibs on all of those doorbuster bargains? Well, let us get your motor running! Stop in to Eat'n Park to fuel up before your spree, or come in afterward to rest your tired feet (and your wallet!). At only $6.99, our Shoppers' Buffet may be the best deal you'll find all day! And to spice it up even more, print the coupon below for a FREE 12 oz. latte with any purchase! This coupon is valid on Friday, November 26, 2010 only. Click here to print yours now. Let's recap: A delicious, bountiful buffet for only $6.99, PLUS a free latte? Yep, sounds like a doorbuster to us! Check the list below to find out when the Shoppers' Buffet will be available at your local Eat'n Park. Unlisted locations will not be offering a Shoppers' Buffet, but will be accepting the free latte coupon. Earlier today, we announced a new initiative that we’ll be using to empower our youngest guests and their parents to make healthier choices. 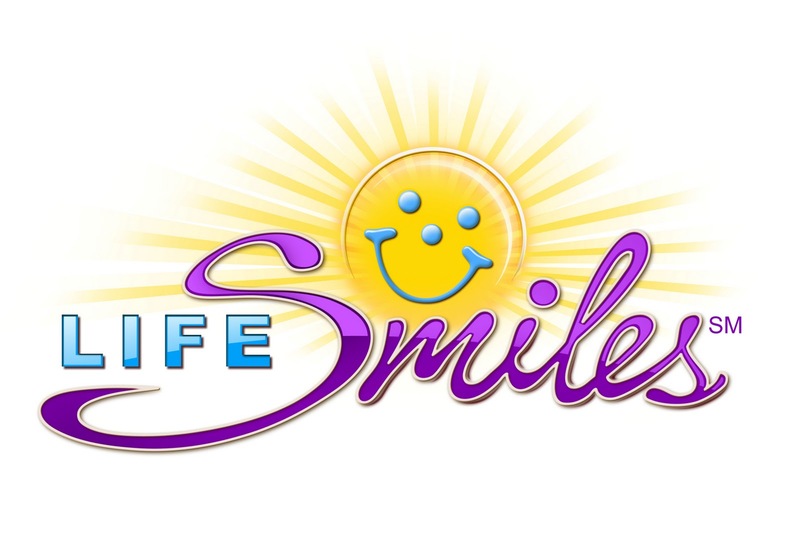 This program, called LifeSmiles, is based in part on First Lady Michelle Obama’s Let’s Move! Campaign to decrease childhood obesity. Common goals of both programs are to provide access to healthy, affordable food and to increase physical activity. Through LifeSmiles, we’ll be investing $1 million and 20,000 volunteer hours over the next five years to support health and wellness initiatives aimed at families. For instance, in 2011, we’ll be partnering with the Pittsburgh Children’s Marathon as part of our commitment to promoting physical activity. 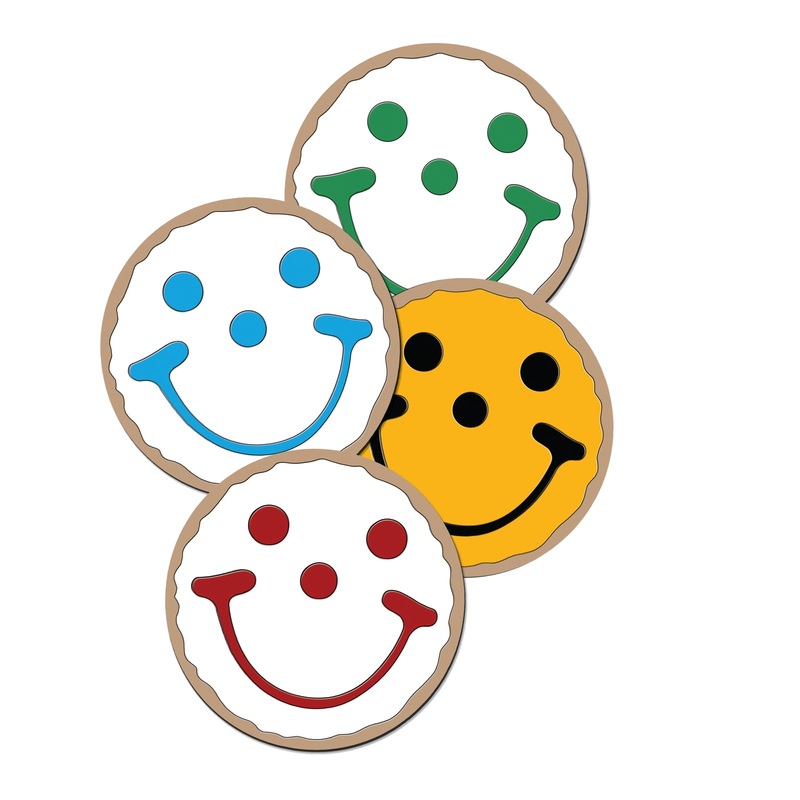 Starting next month, we’re also going to offer healthier alternatives to our iconic Smiley Cookie, which we’ve been serving free after every kids’ meal since 1986. Beginning on December 1, children 10 and under will have their choice of a complimentary original Smiley Cookie, a mini Smiley Cookie, or an apple after their meal. Of course, the principles behind LifeSmiles aren’t new to us. Over the last several years, we’ve made substantial commitments to promoting healthy lifestyles. LifeSmiles will enhance our existing programs like FarmSource, which since 2002 has allowed us to partner with the local agricultural and business community to provide our guests with fresh, wholesome foods; and Eat’n Smart, which gives our guests an easy way to identify menu items that meet their specific dietary requirements. Coupled with these programs, our investment in LifeSmiles will help us fulfill a critical need in our region by giving families the resources and the knowledge they need make healthier choices. Chef Regis Holden helped us kick off the program today at Pittsburgh Faison Primary School in Homewood, PA, as he and members of Grow Pittsburgh worked with third graders to make stone soup. In the process, students learned fun, unique ways to prepare healthy food. To make your own stone soup, check out Regis' recipe below. Want to know the story behind this unique meal? Click here. Add stones to cauldron of water. Bring to a boil. Wash, peel, and cut vegetables. Heat oil in a separate pan on the stove top. Add onions, celery, carrots, cauliflower, and garlic. Stir constantly until onions begin to cook. Dissolve the mirepoix/broth in the boiling water in the soup cauldron. Cover pot and reduce to a simmer. Add remaining vegetables and cook until vegetables lose their firmness, about 30 minutes. Add cooked pasta just before serving. We kicked off our 32nd annual Caring for Kids campaign less than a week ago, and we're already in full swing! How can you help raise money for the kids? Well, you can enter to win a brand-new 2011 Ford Fiesta by purchasing a raffle ticket for just $2. Or, pick up one of our Smiley ornaments or Smiley magnets at any Eat'n Park location. Finally, if you'll be in the area, stop by one of the locations below to participate in one of these cool fundraising events. Eat’n Park is your holiday pie and bakery headquarters! Who wants the mess and hard work of baking over the holidays? Well, quite frankly, we do! Let us do the baking for your holiday gatherings while you do the relaxing. With an assortment of pies, Smiley Cookies, fresh-baked breads, rolls, and more, Eat’n Park is your one-stop-shop for treats that taste like you spent the day slaving away in the kitchen. Don’t worry – we won’t tell anyone that you didn’t! Plus, our Chocolate Creme Pie is on sale this month for a ridiculously low price – just $7.99 for a WHOLE PIE!! We guarantee you that you won’t find a pie this good for a price this low anywhere else. But outrageously delicious pie isn’t all we have to offer (though we DO have quite a pie selection – apple, cherry, blackberry, lemon meringue, Oreo crème…). 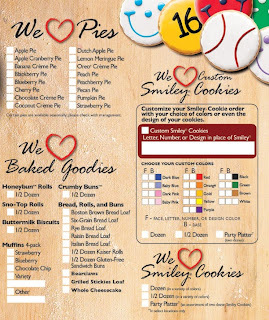 Check out our bakery order form for a list of all the other baked goodies you can pick up at Eat’n Park - Just click here! Stop in or call your local Eat’n Park today to place your order. Need the number? Click here. Labels: What's on the menu? Caring for Kids – Kicking off Eat'n Park's annual fundraising campaign in style! Benefitting local children’s hospitals, Caring for Kids is our biggest company-wide fundraiser. Now in its 32nd year, this campaign has raised over $7 million to support our neighbors in need. We kicked off this year’s campaign in style yesterday with a show-stopping procession of 75 candy red 2011 Ford Fiestas that turned heads all over town. Pittsburgh police escorted the parade from Cranberry Township to its destination: our newest Eat’n Park in Fox Chapel. Believe us, it was quite a sight! So, what’s this have to do with raising money for kids? Well, thanks to the generosity of The Neighborhood Ford Store, we will be raffling off one of these vehicles to a lucky winner at the end of the Caring for Kids campaign. Raffle tickets can be purchased for just $2 each in any of our Eat’n Park restaurants, now through December 12. Eat’n Park guests like you will have a chance to check out the Ford Fiesta up close and personal, because we’ll have one parked at every location for the duration of the campaign. Besides purchasing a raffle ticket (or 10 – why not buy a few for family and friends? ), there are plenty of other ways to contribute to the campaign. Stop in to any Eat’n Park to pick up our all-new Smiley Christmas ornament for just $3 – we guarantee it will brighten up anyone’s tree! 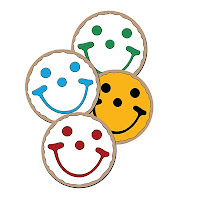 Our ever-popular Smiley magnets will also be available in a variety of colors for just $2 each. These items make excellent stocking stuffers, and you can feel good about helping a great cause at the same time. Finally, we’ll have special events, like Tips for Tots, taking place at our restaurants throughout the campaign. We’ll be posting a weekly schedule here on our blog, so check back often. Here’s to helping the kids! 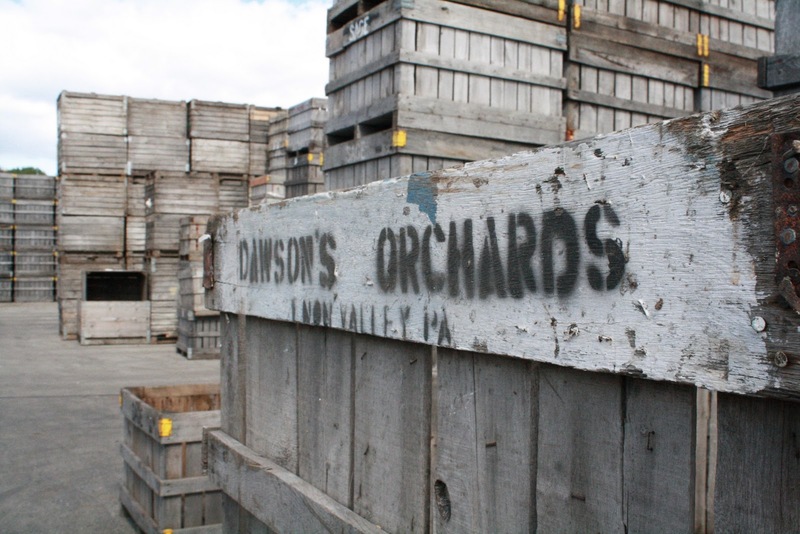 Last month, I told you about my visit to Carolyn and Scott McQuiston of Dawson’s Orchards in Enon Valley, PA. Dawson’s provides some of the apples that are used to make the local apple cider that we’re now featuring in our restaurants. Scott and Carolyn gave me a tour of their orchards, and enlightened me on how the apples are grown and harvested (click here to read that post). 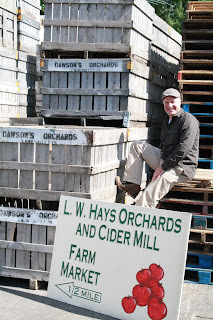 However, to see how they’re processed into apple cider, I had to visit Hays Cider Mill in nearby Columbiana, OH. 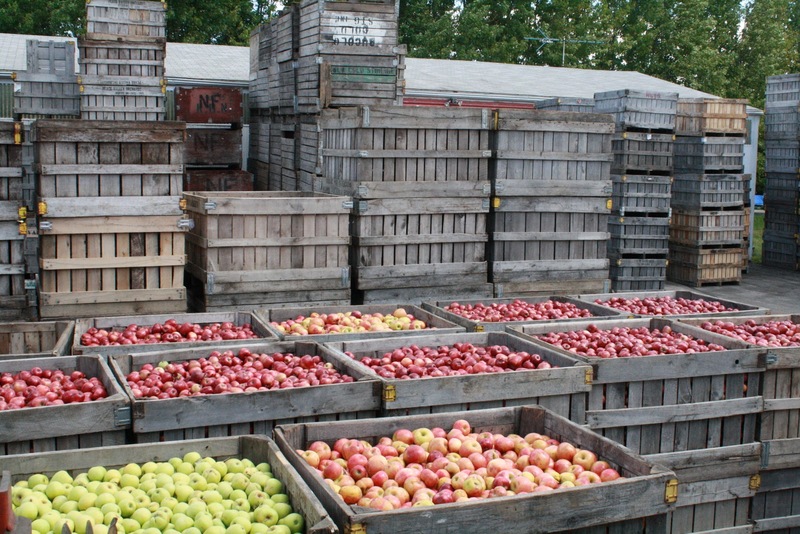 Hays processes Dawson’s apples, as well as apples from several other local orchards. 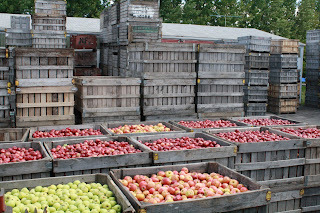 The apples arrive at Hays in large wooden crates containing 18 bushels of apples each. From one crate of apples, Hays will produce about 70 gallons of cider, or roughly 4 gallons per bushel. There’s no one variety of apple that makes the best cider – the best flavor comes from a mix of different varieties of sweet, tart, and aromatic apples. 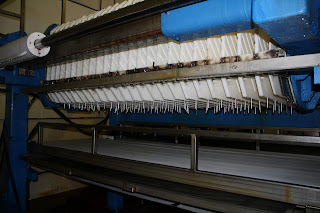 The apples are fed into the press, which when full, can produce 300 gallons of cider. As the apples come through the press, the juice is strained through clean cloths to keep any solid particles out. Remnants of pressed apples. What a mess! 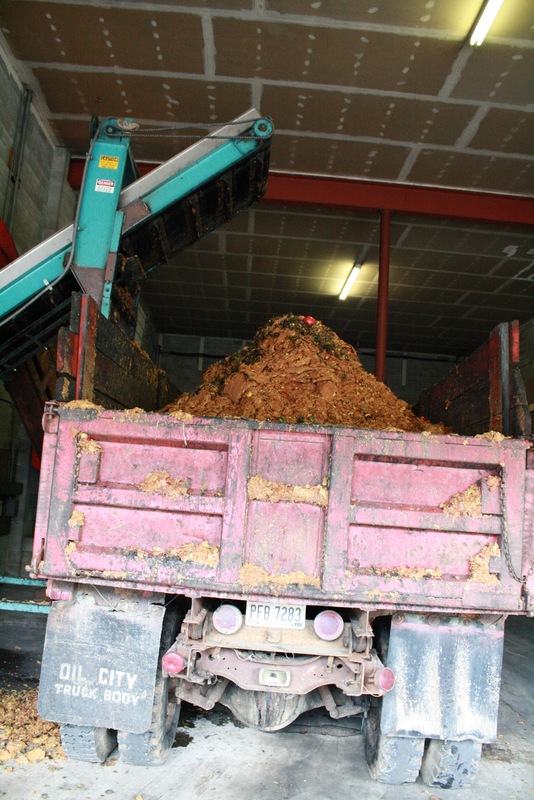 The juice is then transported into a pasteurizer, while the remnants of the pressed apples ride a conveyor belt out into a dump truck. They’re then used as feed for cattle or fertilizer for fields. As you can see in the photo above, making cider is messy business. For every 6 hours the press is in operation, there are 3 hours of cleanup needed afterward. 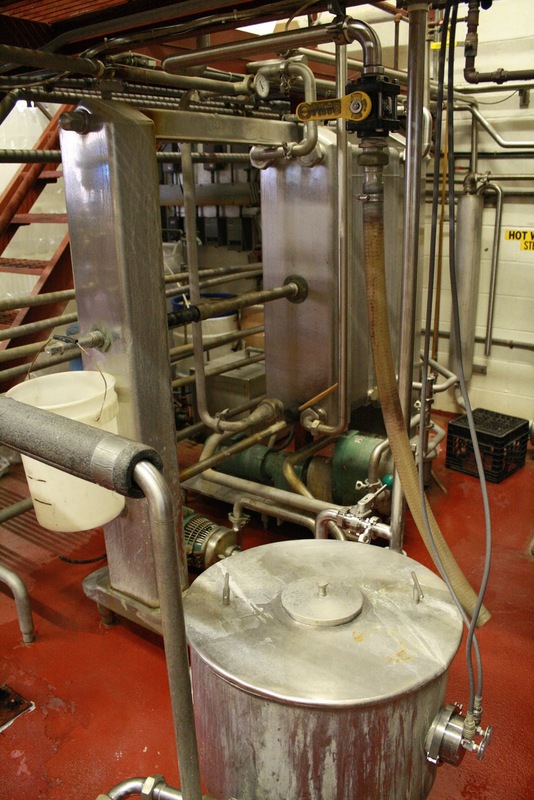 The round stainless steel vessel below is the pasteurizer. Hays (and all other cider producers) are required to pasteurize their product any time they sell it through a third party (like Eat’n Park). 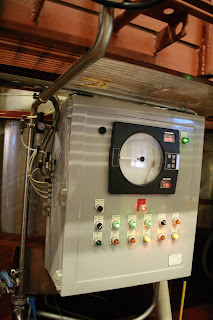 The cider is heated in the pasteurizer, which kills any bacteria that may be present. 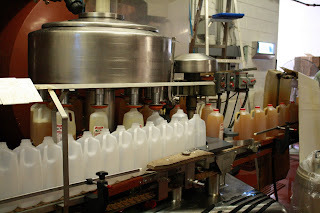 Pasteurized cider also lasts longer. Finally, the pasteurized cider is bottled. The bottling line at Hays is pictured below, and you can see the empty bottles being fed onto the turn table where they’re filled, capped, labeled, and moved on toward the packing line. Packed cider will be picked up by our distributor and delivered to each Eat’n Park location for our guests to enjoy. So there you have it: the journey of the apple from orchard to cider to Eat’n Park. Now that you’ve gotten a behind-the-scenes look, I hope you’ll stop in to try some of this delicious cider firsthand. Tour our newest, greenest Eat'n Park in Fox Chapel! Join Pittsburgh's own Ian Rosenberger for a fun inside (and outside!) look at our newest Eat'n Park location at the Waterworks Mall in Fox Chapel. Watch as our 40-foot wind turbine is installed, and check out some of the restaurant's other green features, like our induction stovetops. And don't worry - we didn't really let him operate the crane!